Our “Family Intro” is a one-hour course perfect for families or guardians with children wishing to learn the basics together. 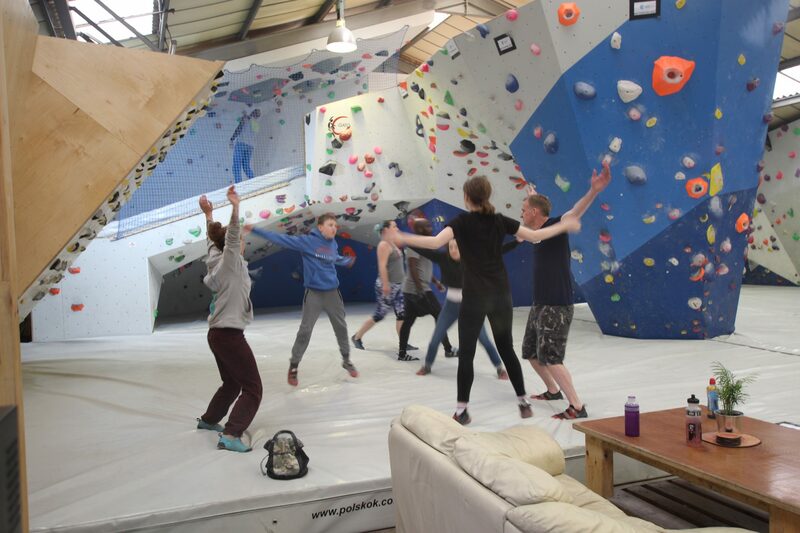 Our instructors will teach you all the skills required to boulder safely. You will learn how to move around the climbing wall, how to differentiate between grades and variety of techniques. The adults will also receive guidance on how best to supervise children in the centre. Once you have completed the course you will be free to climb in the centre. It is important to note that children CANNOT be left unsupervised by an adult during this course, it MUST be done TOGETHER. You may only have two children per adult on this course if they 7+. The minimum age for children climbing at the centre is 5, If the child is 5 or 6 then the supervision ratio is 1 adult to 1 child. How much does it cost? It is £15 per adult and £10 per child. This price includes shoe hire as well as chalk rental.